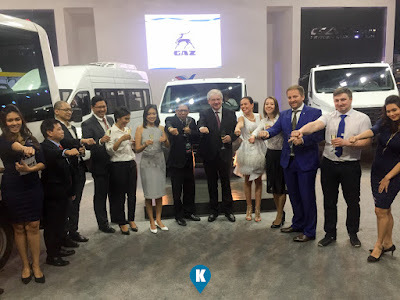 GAZ GROUP, a leading manufacturer of commercial vehicles in Russia, presented a wide range of commercial vehicles at the Manila International Auto Show (MIAS 2018). 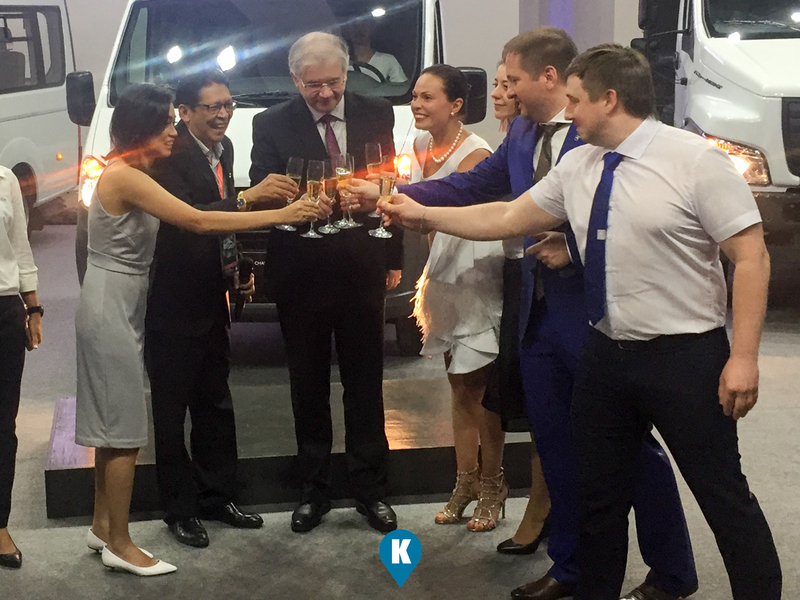 The company brought three new models to the Philippines: GAZelle NEXT chassis, GAZon NEXT and Sadko 4×4 medium-duty trucks. Already available in the market GAZelle NEXT minibus, GAZelle Next Citiline framed bus and Ural NEXT 6×6 heavy-duty trucks, shift bus and dumper, have been also presented at GAZ Group booths. All vehicles correspond to the Euro 4 eco-standard and are available in the Euro 5 standard. 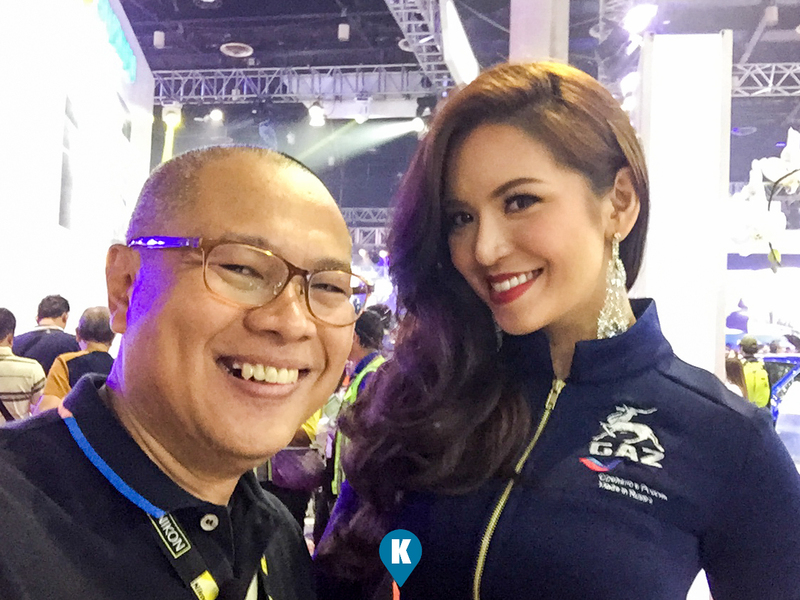 The Manila International Auto Show is held every year and gathers under one roof the leading automobile brands presented in the Philippines. This year the event takes place on April 5-8 in World Trade Center Metro Manila exhibition center. GAZ Group participates in the exhibition together with its local partners - Gazelle Motors Corp. a distributor of light commercial vehicles, and ConEquip Philippines Inc., a distributor of Ural vehicles. 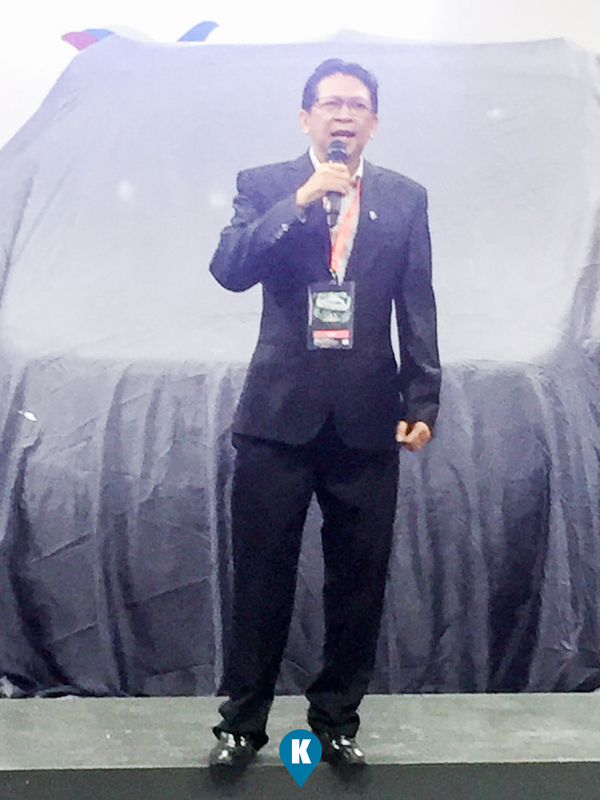 “These units affirm GAZ Group’s commitment and interest to the Philippine market by initially introducing these vehicles out of its numerous line through Gazelle Motors,” Dr. Fernando L. Martinez, Gazelle Motors Chairman and Chief Executive, said. 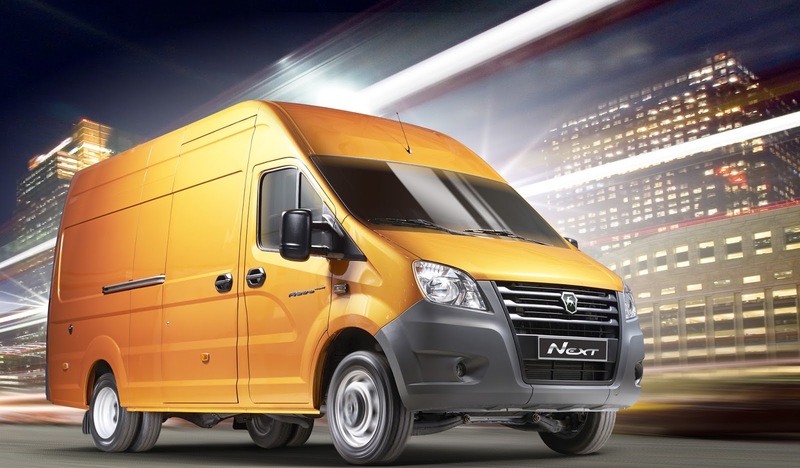 The GAZelle NEXT line is a line of light commercial vehicles combining excellent functionality and modern technical solutions. GAZelle NEXT vehicles are equipped with Cummins ISF 2.8L diesel engines. Engine displacement: 2.8 l, power: 150 hp, Maximum torque: 330 Nm. 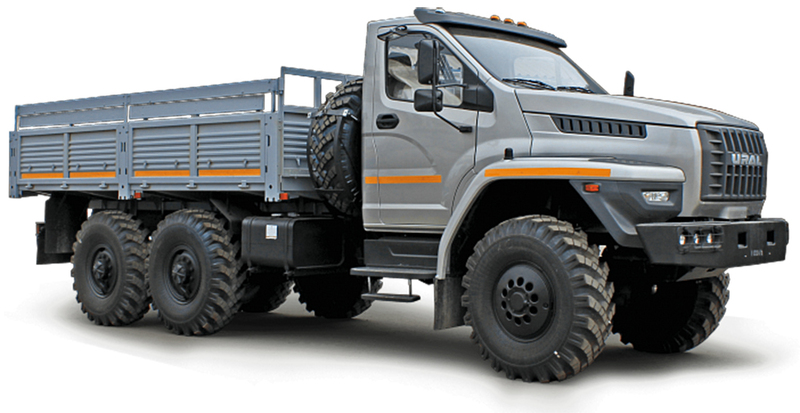 GAZelle NEXT chassis is presented in a standard configuration with single-row cab. The NEXT base chassis allows to place over 300 special add-ons depending on business tasks. External parts of GAZelle NEXT cab are fully galvanized and treated with anticorrosion materials. Plastic side panels are installed on the vehicle. All joints and welds are protected with anticorrosion coatings and special sealants. GAZelle NEXT minibuses can be effectively operated both as public transport (up to 17 passengers) and as corporate or tourist transport. The minibus design allows the transporting of passengers in comfort even if there are no vacant seats and passengers have to stand. Minibuses can be used to design various types of specialty vehicles, e.g. : public passenger transport, buses for transportation of disabled people, school buses, executive buses, airport shuttle buses. GAZelle NEXT Citiline framed buses are noted for their shorter length and larger body width. Despite their small size, these buses can carry up to 19 passengers. Buses are equipped with comfortable passenger seats and handrails allowing passengers to move easily and safely along the interior. GAZelle NEXT Citiline buses have a large glass area. 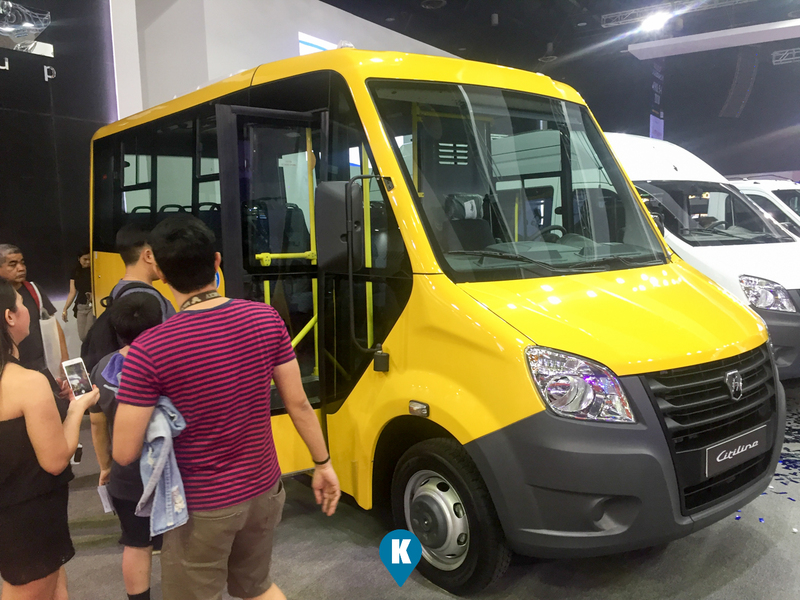 In the hot summer months climate control systems with a dual-zone air conditioning and separate front and rear cooler control units, installed in GAZelle NEXT and GAZelle NEXT Citiline buses, provide a cool temperature inside the vehicles. Sliding windows and a hatch located on the roof ensure effective ventilation inside the passenger compartment. GAZon NEXT is a new-generation medium-duty truck intended to transport cargoes both within the city and between cities. Vehicle load capacity is 5 tons, and gross weight is 8.7 tons. The vehicle is equipped with an efficient pneumatic brake system with disk brakes for front and rear wheels. Integral steering provides for high information capacity and good control upon the application of little effort on the steering wheel. The front suspension is equipped with extended springs, hydraulic telescopic shock absorbers and a stabilizer bar, thus providing a smooth and stable ride when driving at high speed. The cabin is made of galvanized steel, which has undergone double priming, while splashers and wheel arches are made of heavy-duty plastic, which provides a high level of protection against corrosion. Simplicity of installing add-ons allows the creating of various modifications of special vehicles on the GAZon NEXT chassis, for example, dump trucks, multipurpose road maintenance vehicles, food and fuel storage tanks, repair cars and reach stackers. The vehicle is produced with two cabin versions: standard (3 seat) and double-row (seating for up to 7 passengers) as well as with two versions of the wheelbase – standard and extended. The vehicle is equipped with a YMZ-536 engine with 150 hp capacity and a 5-speed gearbox produced by the Yaroslavl Engine Plant. Sadko all-wheel-drive medium-duty truck is well-known for its unique off-road qualities. 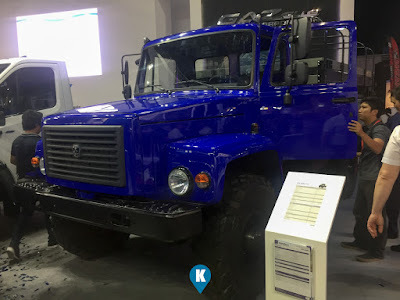 The vehicle is popular among the armed forces of many countries, and resource and geology companies that operate in deserts, jungle and mountainous areas, to say nothing of forest and countryside regions. The vehicle is equipped with a powerful diesel engine, power steering, a comfortable two-seat cabin, easy-to-reach controls, a tire pressure control system and mechanically driven winch. The Sadko vehicle chassis are widely used to place various special add-ons for a wide range of activities. 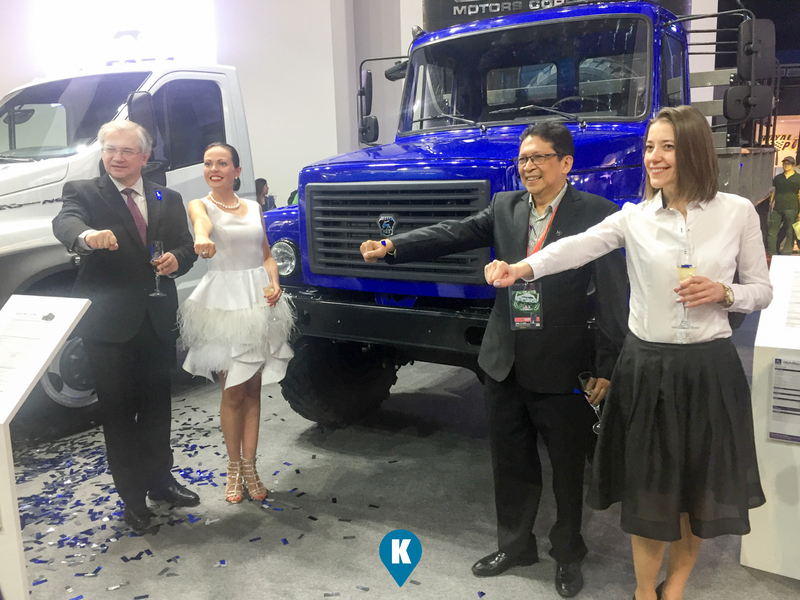 Two Ural NEXT all-wheel-drive medium-duty trucks with 6x6 wheel formulas are presented on a separate booth: shuttle bus and dump truck. The Ural NEXT line is noted for the high reliability of assemblies and units, and its productivity and fuel efficiency. The vehicles are equipped with a YMZ-536 engine having 150 hp capacity and a 5-speed gearbox produced by the Yaroslavl Engine Plant. The engine is designed in accordance with the requirements of the Euro-4 emission standard. Original frames with side rails made of alloy steel 10 mm thick are installed in Ural NEXT vehicles. The frame structure ensures a lower position of the dump platform for increased stability of the vehicle when driving in severe road conditions. Vehicle load capacity is also ensured by the structure of drive axles with hub-reduction final drive. Transmission: mechanical, five-speed. Transfer box: mechanical, two-speed, with spur locking axle differential. All-metal front buffer with beveled cross section ensures improved “geometric” cross-country capacity of the vehicle when driving in severe road conditions. These vehicles have a modern NEXT cabin, which provides ergonomics of the driver’s seat, as well as a high level of passive safety and convenient maintenance. Cabins are available in two versions: single-row cabin and a cabin with a berth. A cabin with a second row of seats will also be available in some modifications. 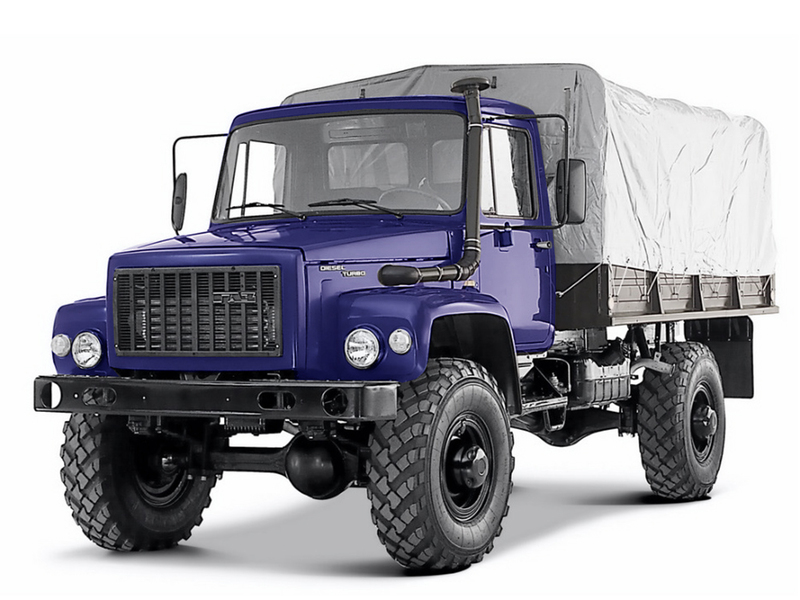 Ural NEXT all-wheel-drive shift bus is intended for transportation of people and working groups in off-road conditions. The vehicle is equipped with a flat body having right and left drop sides and a crane manipulator, making repair as well as loading and unloading operations convenient. 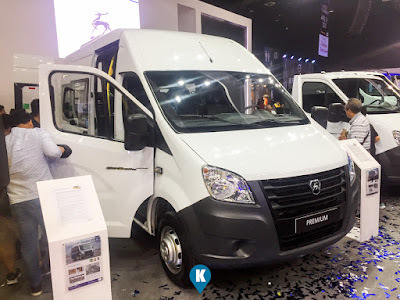 The van body is made of insulated sandwich panels, and the compartment intended for transportation of people (8 passengers) is equipped with special seats and belts as well as an emergency escape and vent hatch. Ladder unit: positioned low for easy entry and exit of passengers. Side doors: with automatic lighting, passenger van windows: double-paned. Ural NEXT all-wheel-drive dump truck is a multi-purpose vehicle to be used by utility service providers and at construction sites, as well as at large and small industrial enterprises. Various attachments can be placed on the chassis of this model. The total weight of the vehicles (without a trailer) amounts to 25 tons, which allows their use without exceeding the restrictions of technical regulations for loads on public roads. Ural NEXT has a two-seat cabin with improved interior design, driver’s seat ergonomics, visibility and noise insulation. Driver’s and passenger seats: with pneumatic suspension. Cabin suspension: spring, with four shock absorbers, torsion-type transverse stabilizer. A mechanism with installed power steering is used in the steering control. The installed Hella optics is noted for its outstanding technical specifications and operational reliability. GAZ Group (www.gazglobal.com) is one of Europe’s leading and Russia’s top producer of commercial vehicles, which exports to more than 40 countries worldwide. Group’s product portfolio includes light and medium-duty commercial vehicles, buses, heavy-duty trucks, powertrains, and car parts. GAZ Group is integrating into the international automotive industry through industrial partnerships with leading OEMs Volkswagen and Daimler. Motor vehicles produced by GAZ Group are powered by gasoline, diesel, gas or electric engines. The Company is engaged in the development of cutting-edge technologies such as vehicles with telematics, advanced driver assist systems (ADAS) and self-driving vehicles. GAZ Group operates 13 fully integrated production plants in Russia and has assembly facilities in Turkey and Kazakhstan.